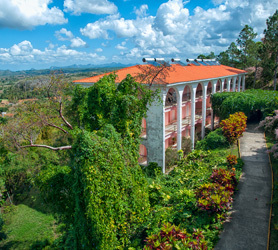 The home of one of the founders of the first Communist Party of Cuba, has been turned into a museum and is located in the municipality of Guanajay, in the westward section of the province of La Habana. Carlos Baliño was born on February 13th of 1848, and together with José Martí, he created the Cuban Revolutionary Party. The building, which has resisted the years, dates from the first half of the XIX century, and is located at number 1205 Luz Caballero St., between Agramonte Ave. and 21 de Octubre Ave. The house is made up of a vestibule, a large living room, a garden, a room with a balcony overlooking the street, which is reached by climbing up a wooden staircase in the shape of a seashell. This historical building has been declared a National Monument.